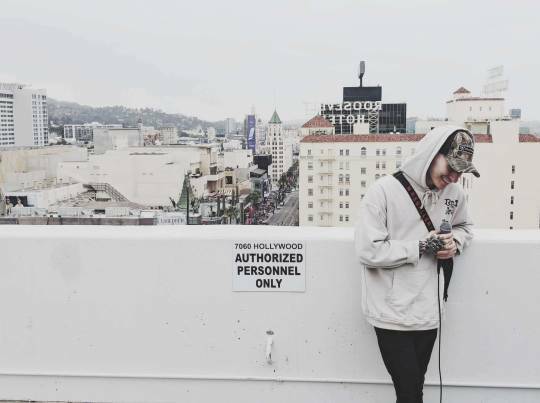 Q&A: Soundcloud, Emo Hip-Hop and The Mysterious Charm Of nothing,nowhere. Unless you’re purposely trying to avoid anything related to the “next generation” of music and have strictly been listening to the same Weezer album over and over (which if you have, c’mon, it’s 2018), there’s a very good chance you’ve heard the name nothing,nowhere. Currently signed to Fueled By Ramen and DCD2, the Pete Wentz protégé has built quite the reputation for himself by fusing popular Soundcloud and hip-hop-driven trends with scene staples like Dashboard Confessional, American Football, and The Early November. Though considering the growth of the n,n. movement, which has seen itself multiply by way of numerous fan tattoos, sold-out shows, and magazine appearances, you probably already knew all that. However, what you might not know about the young Vermont-based emcee is that he’s heavily influenced by the philosopher Alan Watts, has a die-hard passion for skateboarding and while he was growing up took part in his fair share of Myspace bands. Lucky for us, we were able to discover all this information about the enigmatic nothing,nowhere. when he and producer Jay Vee came by our office for a quick hang up on our roof. To check out what else we were able to learn about the emerging emo-trap star, be sure to watch our video below. Afterward, if you’ve yet to pick up a copy of nothing,nowhere’s genre-bending LP Ruiner or grabbed tickets to see him live on tour, head here.